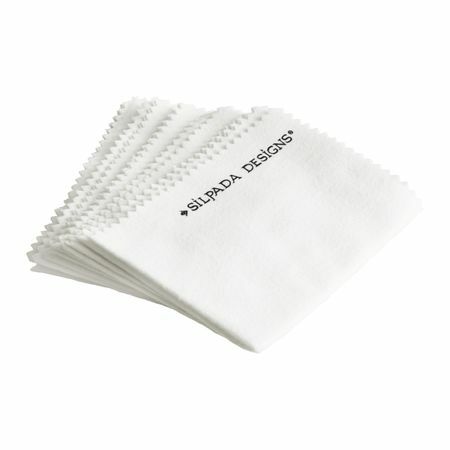 Perfect for cleaning all your Silpada sterling silver jewelry, this 10x7.5" cloth with remove all grime and tarnish without compromising your favorite pieces. The cotton fabric cloth is specially treated and designed to polish silver, gold, and platinum jewelry. Just rub and shine. Set of five.